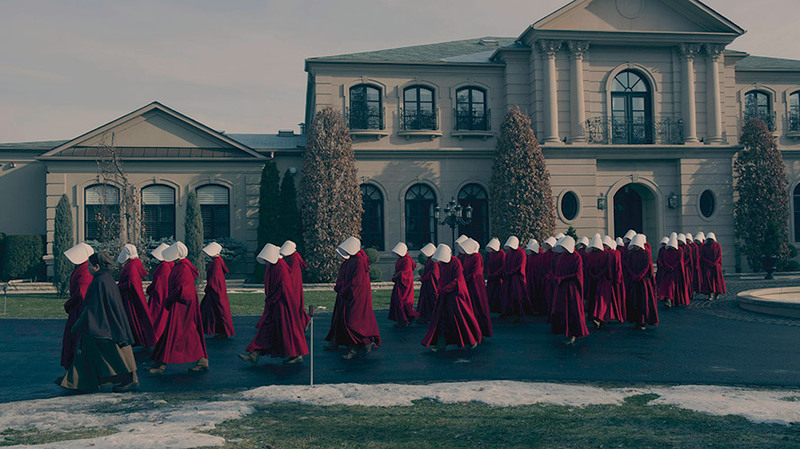 Hulu hasn't yet revealed whether this year's Super Bowl ad will also focus on The Handmaid's Tale. A year after running its first Super Bowl ad for an original series—which then became the first overtime spot in Super Bowl history—Hulu will be returning to the Big Game on Feb. 4, airing a Super Bowl spot for the second straight year. The streaming service confirmed its return to the Big Game, but for now it’s keeping the rest of the details about the ad under wraps, including whether it will be show-focused—as last year’s Handmaid’s Tale spot was—or brand-focused, as was the case with its first two Super Bowl campaigns: 2009’s “Alec in Huluwood” starring Alec Baldwin and 2012’s “An Evil(er) Plot to Destroy the World” starring Will Arnett. Last year, Hulu kicked off the marketing campaign for The Handmaid’s Tale—which went on to win Emmy and Golden Globes for best drama series and best actress in a drama series—with its first Super Bowl ad for an original series. That ended up also becoming the first overtime ad in Super Bowl history, after the New England Patriots-Atlanta Falcons game went into overtime, and Hulu was the first of four spots to run in the overtime ad pod. In November, Hulu picked Crispin Porter + Bogusky—which created the 2009 and 2012 Super Bowl spots—to run its forthcoming brand campaign, but there was no word on whether CP+B will be behind this year’s ad. Last year’s spot was not attributed to any agency. Hulu will have no shortage of news to tout during Sunday’s ad: it now has 17 million U.S. subscribers, Season 2 of The Handmaid’s Tale will premiere on April 25, and the streaming service just snapped up streaming rights to ER, as well as George Clooney’s next TV series, Catch-22.